Fiona discovered yoga fifteen years ago after searching for a way to ease physical pain and discomfort brought on by intense sport and running. 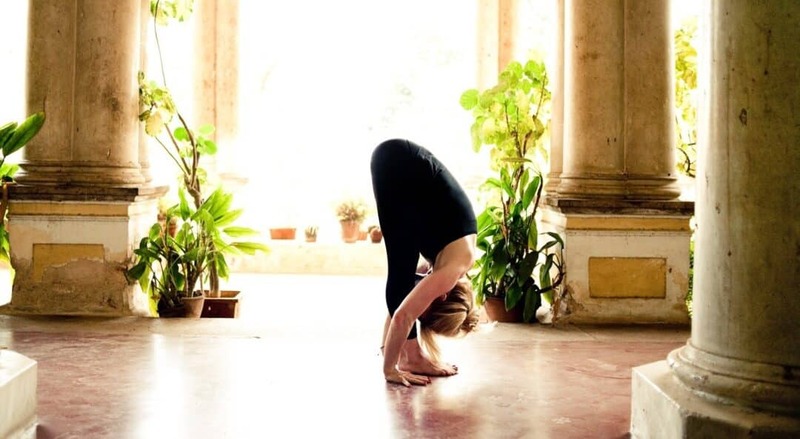 “After trying a few diffierent styles it wasn’t until the first Ashtanga class that I fell in love with yoga. I thought I was strong but the strength and control the students in this class displayed was incredible. I really struggled with many of the postures and thought that I couldn’t “do” yoga. I stuck with it and continued to be the stiffest person in class! Soon I began to understand that my negative thought patterns were having a major effect on my physical health. “samskaras” or karmic pain in the body is often a result of toxic thoughts in the mind. Finding an ashtanga yoga teacher who really knows what they are talking about and who is passionate about the practice was a top priority. I feared I would have to travel a long way to find a class that was worthwhile. When I found Fiona, I felt (and still feel) so incredibly lucky. 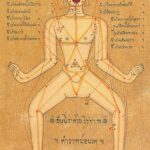 Her expertise, knowledge of the body and of the practice, along with her warm, funny and enthusiastic personality makes it a sheer joy to attend her classes each week. Thank you, Fiona, for bringing such passion and focus to every class!" Not only has my back improved immensely but I now find that I can do some of the poses that I never believed I would be able to achieve - the yoga has also helped my lifestyle generally and I find that it helps me feel more relaxed in everyday life. I am also back on the squash court which I never thought I would be able to do – I now do my yoga daily and together with Fiona’s tuition this has changed my quality of life. Fiona is a brilliant teacher and a pleasure to work with. I was introduced to Ashtanga Yoga just over a year ago when I attended Fiona’s group classes in Pinner on a Saturday morning. I had previously dabbled in various styles of yoga in desperation to try and help severe pain from a ruptured disc in my back caused by a car accident and years of vigorous country squash playing. Fiona’s classes have been an inspiration to me; after initially being a little sceptical – in the first few classes some of the poses seemed to be totally out of my league and flexibility (or lack of it!). Due to Fiona’s encouraging attitude and the enthusiastic way she teaches I have found a year later that I have gained immensely from her classes and am now having fortnightly one to one sessions which have been an amazing help to me. "I love Fiona's classes and feel that I get so much from them. They are challenging which is good as Fiona is so supportive and encouraging and the classes are so friendly I have really enjoyed learning more and more about Ashtanga, I just wish I could come to more classes!" "Fiona I just wanted to say thank you for your encouragement and support on my yoga journey. You are an amazing Ashtanga teacher. You manage to maintain the authenticity of the practice whilst making it accessible to everyone. Your gentle approach combined with knowledge, which clearly comes from your own dedication to daily practice, and a brilliant sense of humour helps to make your classes enjoyable and fun." I completed my teacher training with Brian Cooper in 2010. I am indebted to Brian for his dedication and passion for teaching authentic yoga. I continue to study at KPJAYI in Mysore, the home of Ashtanga Yoga. It’s important to me that I learn from the source and to keep the tradition of Ashtanga alive. I am lucky enough to have practiced Ashtanga with respected teachers such as John Scott, Gingi Lee, David Williams, Kino Macgregor and Peter Sanson of whom I am humbled to have witnessed their dedication to teaching. I am also trained to teach Teen Yoga. Teaching young adults is incredibly rewarding. Yoga is an ancient practice but it is more relevant now than ever and should be taught in every school. Ashtanga is a strong physical practice and my Anatomy study through ITEC and Thomas Myers Anatomy Trains has proved invaluable. I teach with compassion and respect for each individual’s needs but I always encourage people to work beyond the limitations of their mind. I am starting a new 6 week beginners course on Sunday 31st March from 2:15pm until 3:45pm. WHAT’S THE POINT OF YOGA AT WORK? What is Traditional Thai Yoga Massage? By giving your consent above, Yoga Revolution will be able to use the contact information you have provided to stay in touch with you, to send you our newsletters and any updates we consider may be of interest to you . Please note that we will not pass your details onto any other organisation.